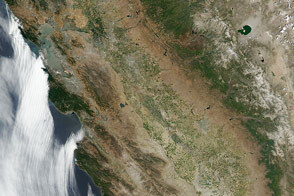 In California and other states, snowfall is critical to fresh water supplies. In the mostly arid climate west of the Rockies, snow cover laid down on the mountains in winter is a liquid checking account that is usually drawn down each summer and fall when rainfall is sparse. As California heads into another year of drought, the snow-white bank account in the mountains is unusually low on funds. 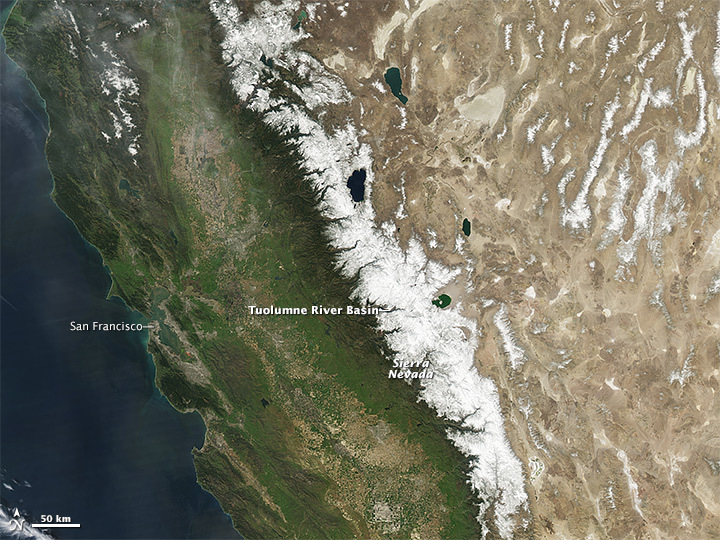 Looking closely at the Tuolumne River Basin in the Sierra Nevada, scientists working with NASA’s Airborne Snow Observatory (ASO) found the snowpack there contained just 40 percent as much water in 2015 as it did at its highest level in 2014—which was already one of the two driest years in California’s recorded history. In its first springtime acquisition of 2015, the ASO team quantified the total volume of water contained in the basin: On March 25, the mountain snowpack was 74,000 acre-feet, or 24 billion gallons. In the same week of 2014, the snow total was 179,000 acre-feet. 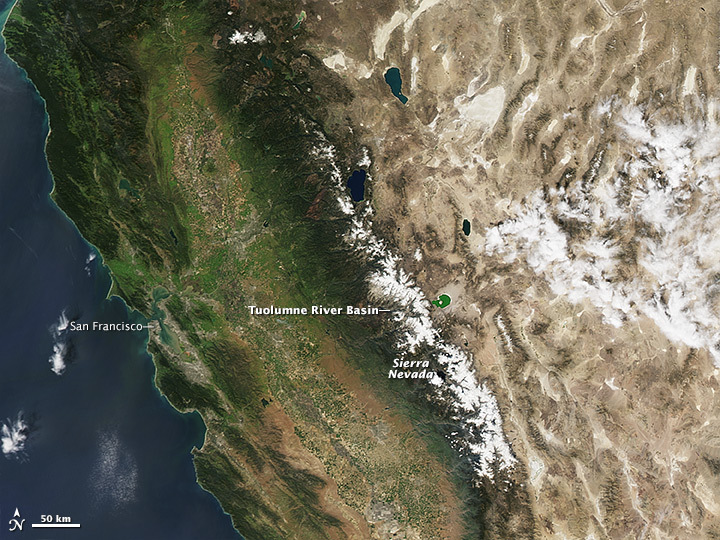 The third image is a difference map showing the snow-water equivalent in the Tuolumne River Basin from late March 2015 versus early April 2014. 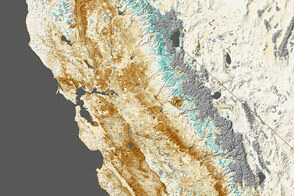 Snow-water equivalent is a measure of the total volume of water in the snowpack. Red areas had significantly less water in March 2015, while blue areas had more. The Tuolumne Basin is a water supply for the Turlock and Modesto irrigation districts and the Hetch Hetchy Regional Water System, which serves San Francisco and neighboring communities. This is the third year of Airborne Snow Observatory operations, and the group works in partnership with the California Department of Water Resources, the San Francisco Public Utilities Commission and the Turlock and Modesto irrigation districts. 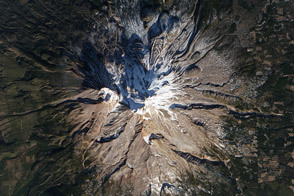 In normal years, snowfall supplies about 70 percent of California’s annual precipitation, melting in the spring and early summer. 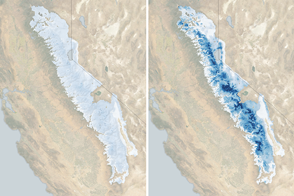 The greater the snowpack water content, the greater the likelihood California’s reservoirs will receive ample runoff to meet the state’s water demands in the summer and fall. 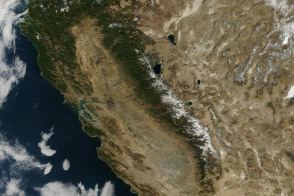 As of April 1, 2015, four of six snow pillows in the Tuolumne Basin were lacking snow. Across California, 88 of the 123 total snow pillows are snow-free. Normally at this time of year, snow accumulations are at their peak, and the vast majority of these pillows still have snow. The Airborne Snow Observatory combines a scanning lidar instrument with an imaging spectrometer flown aboard a King Air aircraft to measure snow depth and reflectivity of the snowpack across several mountain basins in the Sierra Nevada and Colorado River Basin. From airborne measurements of snow depth, plus ground-based measurements and modeling, researchers can derive the volume of water in the snowpack. The reflectivity of the snow—that is, how bright or dirty the snowpack is—provides information on how fast it will melt as darker snow absorbs more solar radiation. 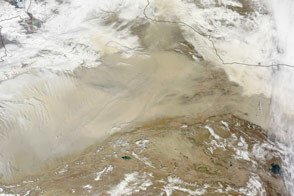 Click here to see the Airborne Snow Observatory maps, which are updated weekly. 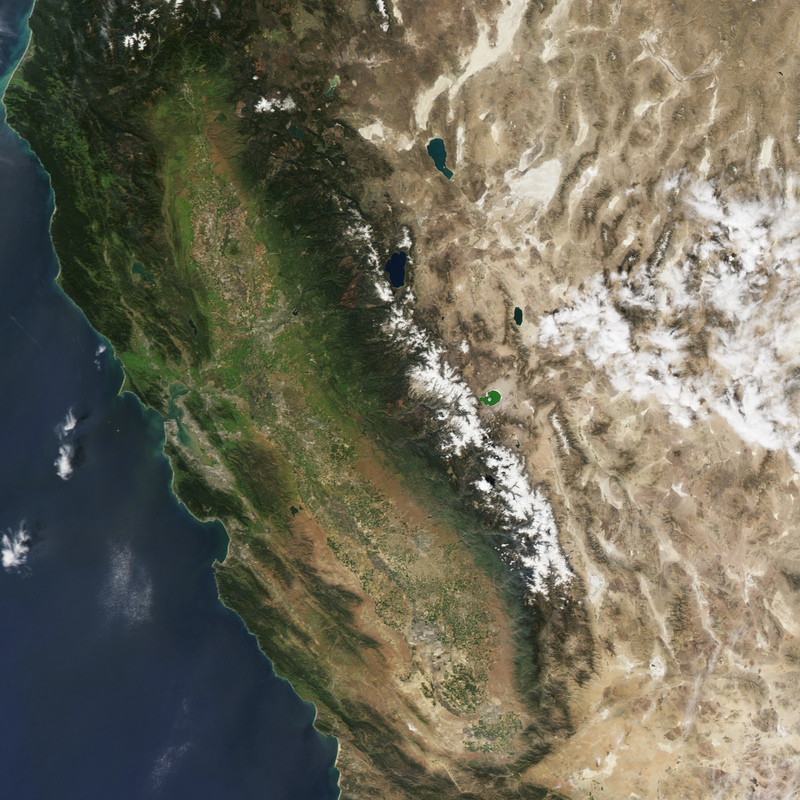 NASA Jet Propulsion Laboratory (2015, April 1) California Toulumne Snowpack 40 Percent of Worst Year. Accessed April 2, 2015. NASA Jet Propulsion Laboratory (2015) NASA Airborne Snow Observatory. Accessed April 2, 2015. 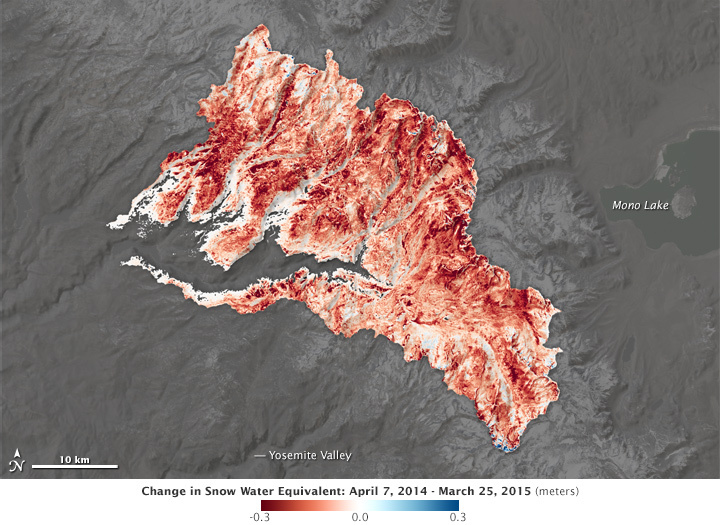 NASA Earth Observatory (2015) Natural Hazards: Drought in the Western United States. 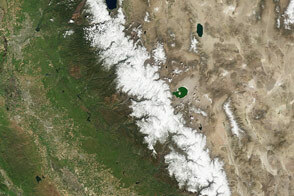 NASA Earth Observatory (2014, April 3) Finding Water in Snow. 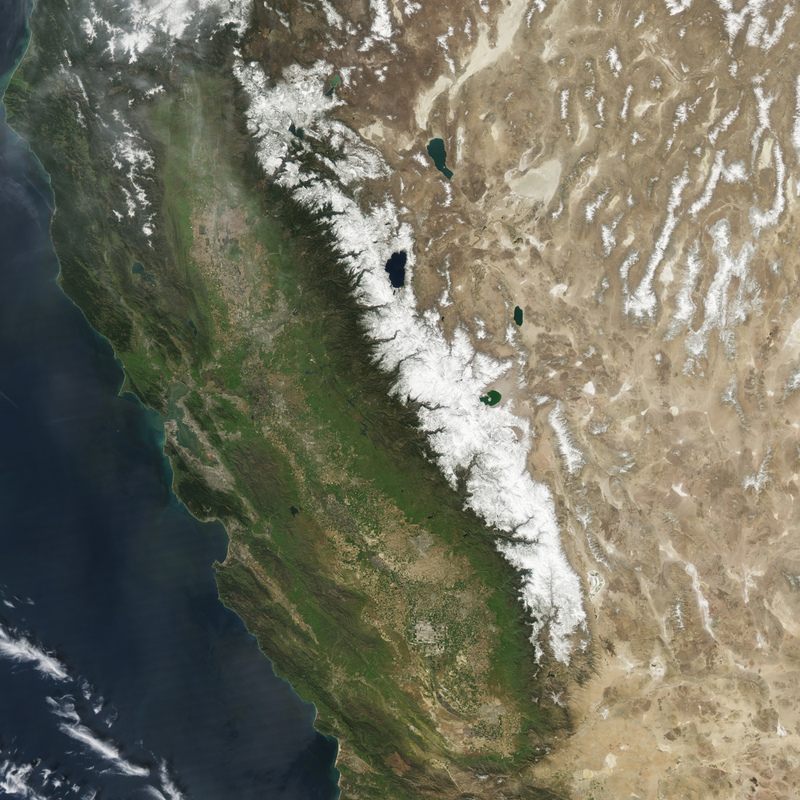 NASA Earth Observatory (2013, August 19) Dusting the Virtues of Snow. 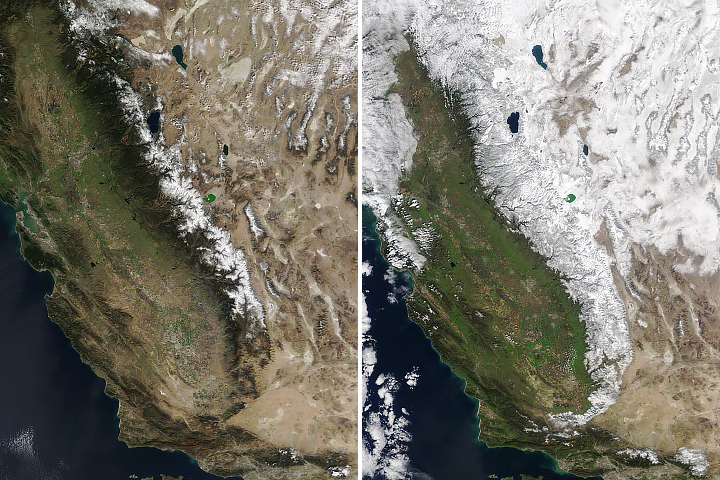 Climate Central (2015, April 1) Bleak California Snowpack Obliterates Record Low. Accessed April 2, 2015. The Los Angeles Times (2015, April 1) Brown orders California’s first mandatory water restrictions. Accessed April 2, 2015. 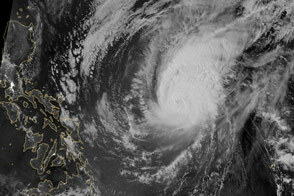 NASA Earth Observatory images by Jesse Allen, using data from the Level 1 and Atmospheres Active Distribution System (LAADS). Caption by Alan Buis and Michael Carlowicz.